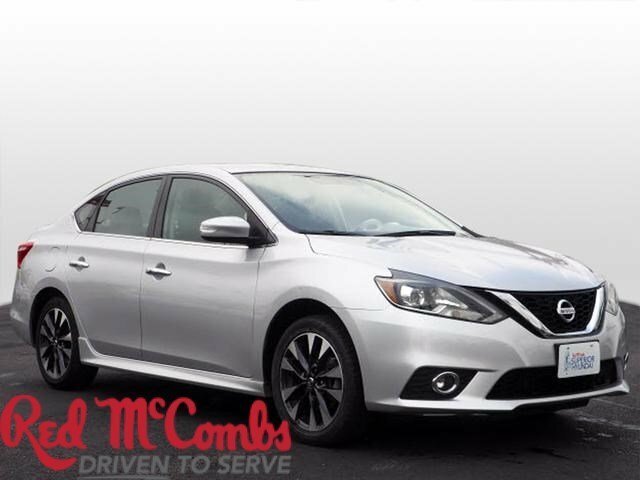 Trustworthy and worry-free, this Used 2016 Nissan Sentra SR lets you cart everyone and everything you need in one vehicle. 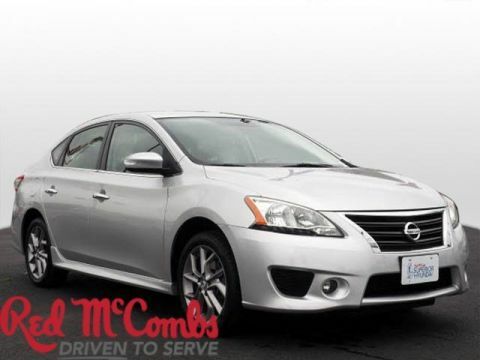 This Nissan Sentra features the following options: CHARCOAL, PREMIUM SPORT CLOTH SEAT TRIM, CHARCOAL, LEATHER-APPOINTED SEAT TRIM, BRILLIANT SILVER METALLIC, [Z66] ACTIVATION DISCLAIMER, [U35] NAVIGATION MANUAL, [P01] SR PREMIUM PACKAGE -inc: 6-Way Power Driver's Seat w/2-Way Power Lumbar, Auto-Dimming Inside Mirror w/HomeLink Universal transceiver, Bose Premium Audio System w/8 Speakers Adds 2 6.5 speakers in rear doors, Center Room Dim Lamp (LED), Power Sliding Glass Moonroof w/Tilt Feature, NissanConnect w/Navigation & Mobile Apps, 5.8 color touch-screen monitor, Nissan voice recognition for audio and navigation, SiriusXM Traffic and Travel Link (fuel prices, weather, movie listings and stock info), Blind Spot Warning (BSW) and Rear Cross Traffic Alert (RCTA), Dual Illuminated Visor Vanity Mirrors, [M92] HIDE-A-WAY TRUNK NET, [L92] CARPETED FLOOR MATS W/TRUNK MAT, [H01] TECHNOLOGY PACKAGE -inc: Nissan Connect Services Powered By Sirius/XM, automatic collision notification, emergency call, stolen vehicle locator, remote services including lock/unlock, flash lights, sound horn, customizable alerts including drive zone, valet, curfew, speed alerts, dealer service scheduling and maintenance alerts, Forward Emergency Braking (FEB), Intelligent Cruise Control (ICC), Forward Collision Warning (FCW) and Forward Emergency Braking (FEB), and Window Grid Antenna. 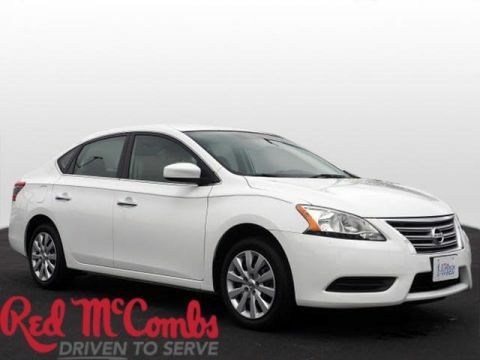 Transport everyone in comfort and style in this tried-and-true Nissan Sentra. 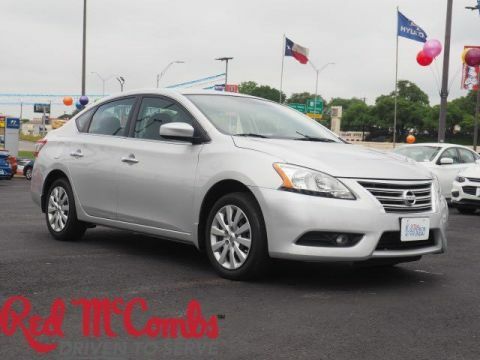 Test drive this must-see, must-drive, must-own beauty and get a hassle-free deal today at Red McCombs Superior Hyundai, 4800 Nw Loop 410, San Antonio, TX 78229.